Mid Bloomer. 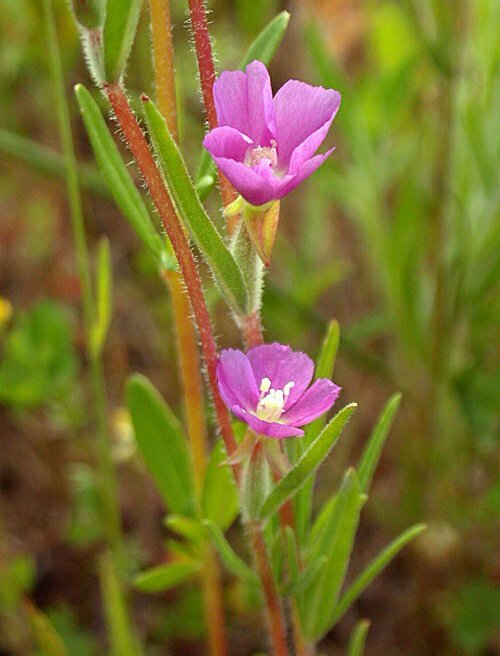 Small cup-like flowers with pink or purple petals. Also called Farewell to Spring, because of its late bloom season. Notes: Evening Primrose family. They are among the last annuals to bloom. Each flower is fan-shaped, solid purple with a darker central spot. Flower buds are erect. 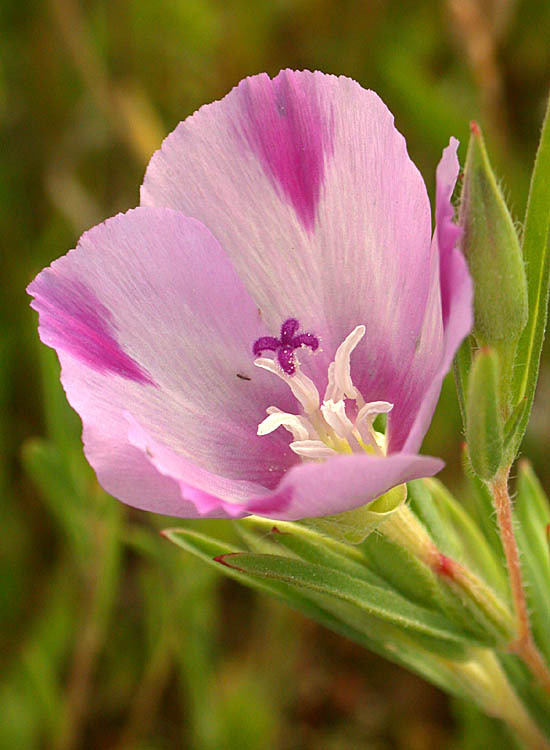 Clarkia purpurea (W. Curtis) A. Nels. & J.F. Macbr.